Each year Daylesford Cider reserve some specific apples in order to create unique limited edition ciders. 2018 focussed on individual varieties. This harvest we had an abundance of Kingston Black apples, a well known bitter-sharp variety. 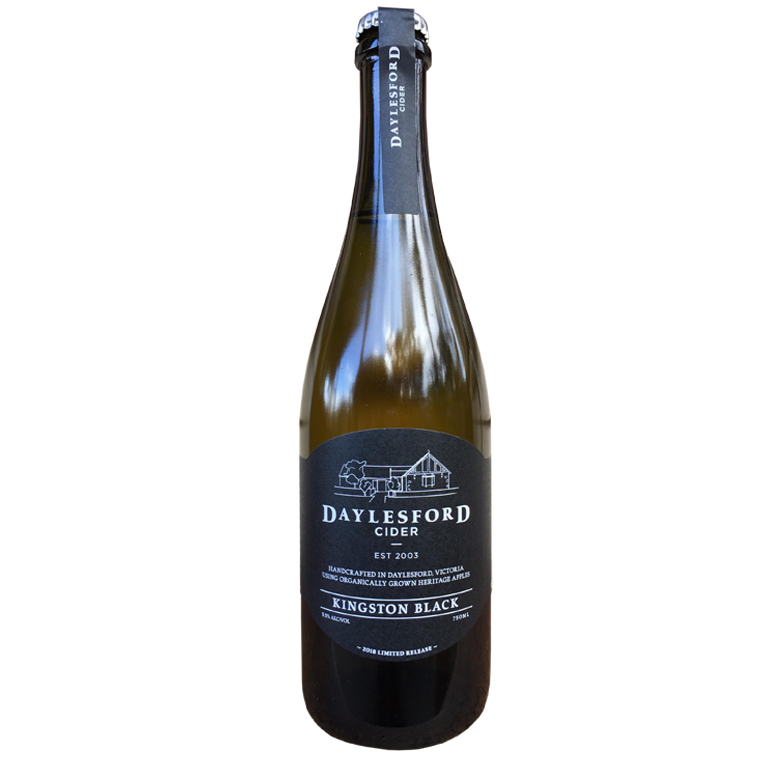 As a result this sparkling cider displays slightly tart, crisp notes with a medium palate and lovely golden hues. A great accompaniment to seafood, salads and chicken dishes. Kingston Black received a Silver medal at the 2018 Australian Cider Awards.